By the time I got some students to sign up, and an approach approved, we had just one week to make the entire project. 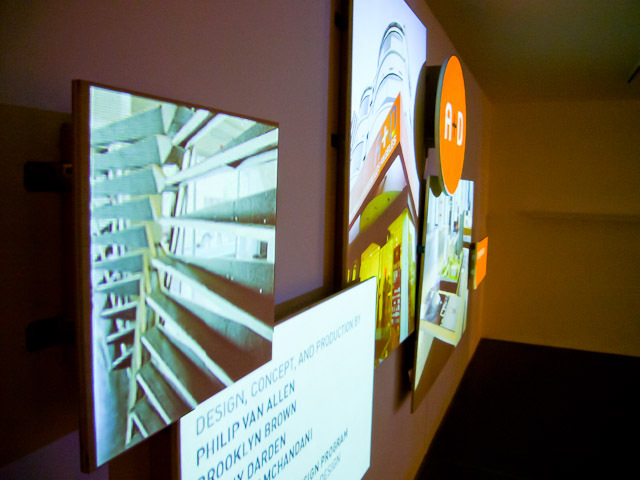 The project consists of six plywood panels mounted to the wall, with separate slideshows running on each panel. Because the panels are different distances from the wall, there’s a dimensional effect created. The idea was to break the normal flat rectangle of projection and create an installation that felt more like a physical part of the space. 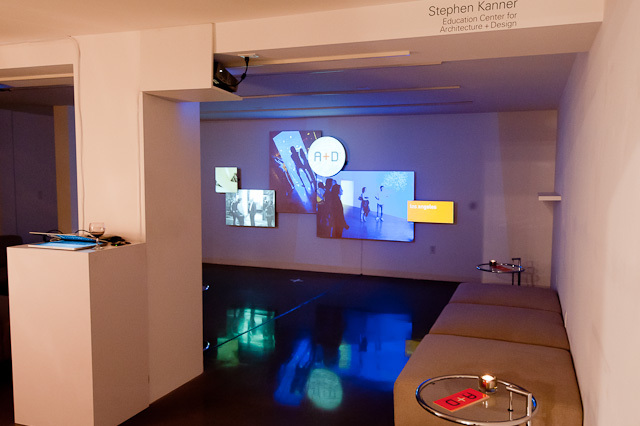 In addition to the randomly playing slideshows on each panel, we created a simple interactive feature so if someone walked up to the wall, a flourish of motion graphics would appear unifying all the panels, then fading into a photo of the front of the museum spread across several panels. The project was a collaborative design and build between myself and three students: Brooklyn Brown, Manny Darden, and Rubina Ramchandani. 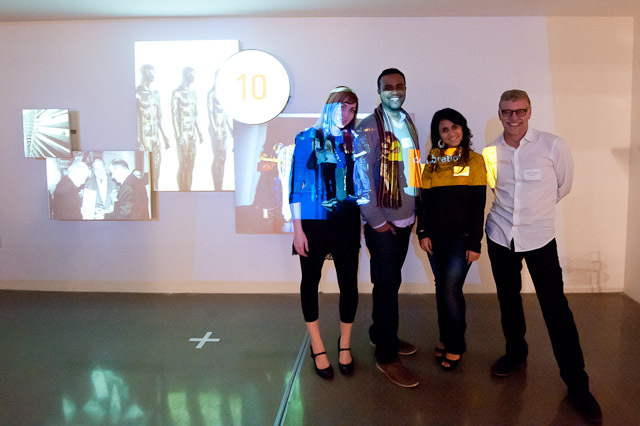 The design approach was partially inspired by some of Manny’s thesis work. For software, we used my NETLab Toolkit with a new SlideShow widget I developed that runs each of the slideshows – the entire project has no ActionScript, using only the toolkit widgets. Images were placed in folders, and each SlideShow widget played a set of images from these folders in a random order. 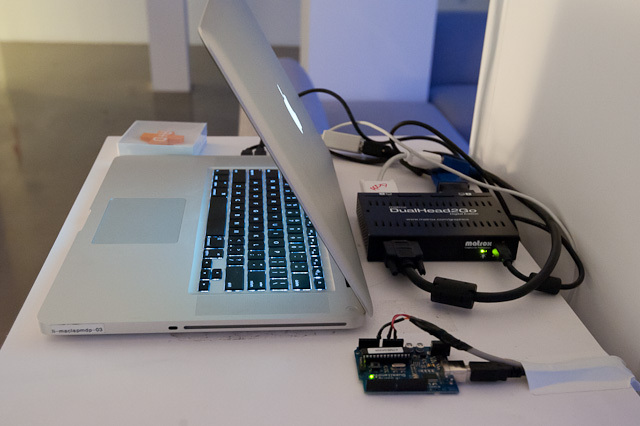 Two projectors were used to get a wider display (2500 pixels), and these were fed by a video splitter out of a MacBook Pro (this way the Flash movie played across both projectors). 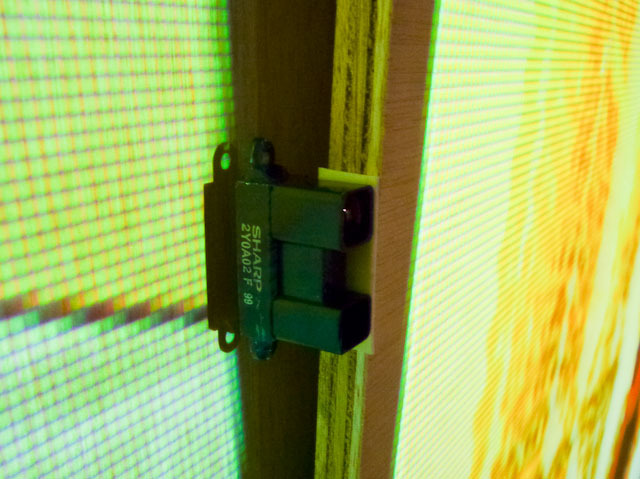 An Infrared proximity sensor was used to detect someone in front of the wall, and this started the playback of five different video streams across the different panels.